There are well over 80,000 different types of wasp species known to man that have evolved into many different shapes, sizes, and behaviors. Wasp evolution goes back over 100 million years and the ant and bee have both evolved from wasps. 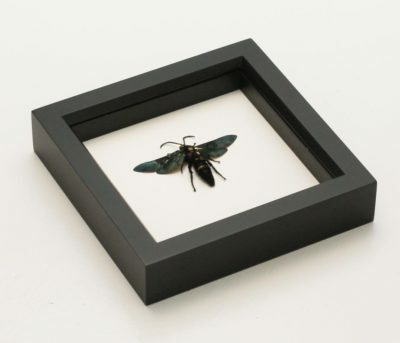 The Giant Scold Wasp s a solitary wasp in the family Scoliidae and one of the largest wasps in the world. 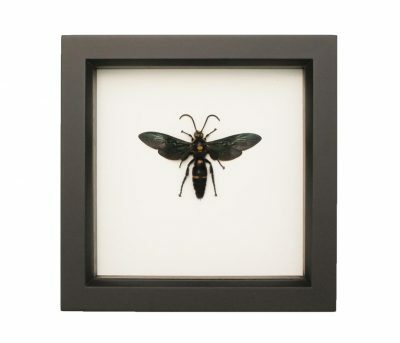 Wasps are often under appreciated by humans but many help us, including one that has venom that hope to treat cancer. 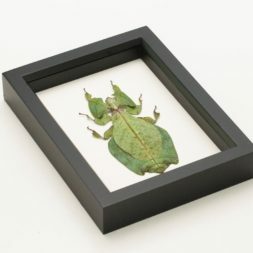 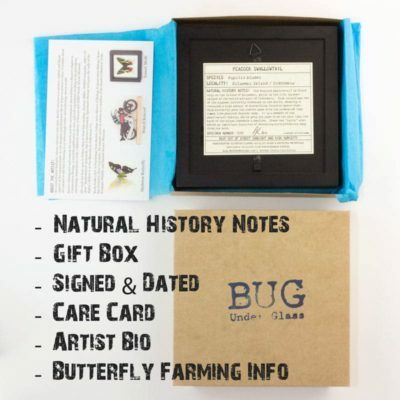 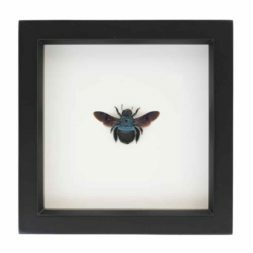 ► Gift box with info about sustainable wasp origin and care of display. 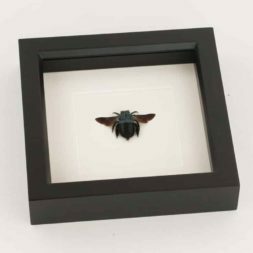 Carpenter bees are important pollinators and are usually solitary. 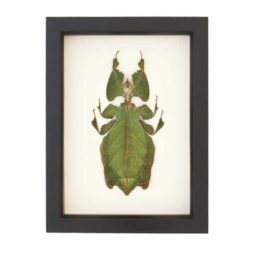 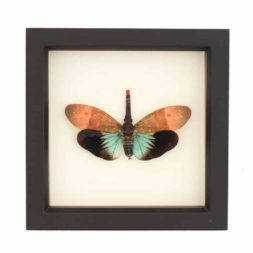 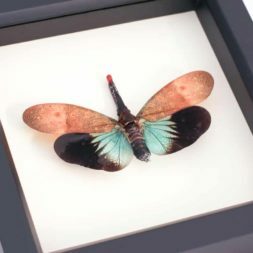 According to ancient lore, the Lanternfly was believed to emit a light from its' hollow head.